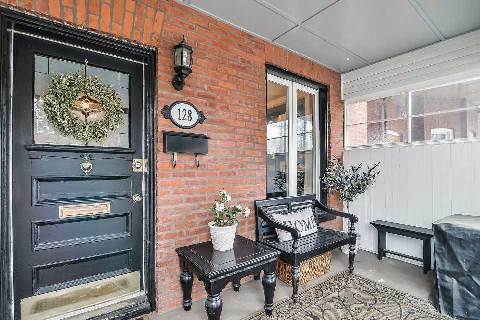 Beautiful Victorian Semi Detached Home In The Fabulous Location Of South Parkdale! Renovated And Designer Decorated With Great Layout And Large Principal Rooms. Boasts A Family Sized Kitchen With Breakfast Area, Exposed Brick Floor And Walk Out To Patio. Large 3rd Storey Guest/Loft Style Room,Currently Used As Master Suite. Basement Only Needs Piping To Connect To Water For 2nd Kitchen. Access To Anywhere In The City. Want to learn more about 128 Landsdowne Ave? I would like to learn more about 128 Landsdowne Ave.